1968 was a tough year for Charlie Peer, Recently laid off by Learjet, the young engineer with a wife and three children to support, went to his former employer with an idea. Charlie was aware of Learjet’s inability to find someone to produce an air mixing valve. Charlie proposed to produce the valve himself. When questioned as to whether he had the capability of producing such a valves, Charlie pulled a prototype from his briefcase. The job was his and Aerospace Systems and Components, Inc. (ASC) was off and running. After some initial success, the general aviation industry fell into a slump and Charlie needed to find another niche for his company. Fortunately, the agricultural market remained strong and presented an opportunity to the fledgling company. Charlie and his employees recognized that the cabs for combines and large tractors were not equipped with factory air conditioning, turning them into saunas during the summer months. They quickly developed prototypes of an evaporative air conditioning unit and a small transfer pump for showing at a regional farm show. They returned from the show with orders in hand which led to the eventual creation of a sister company, Great Plains Industries, Inc. (GPI). Shortly after that, Charlie convinced two more out of work engineers, Ken Rix and Lyle Koontz, to join him in his endeavors. Ken provided expertise in production methods and cost controls. 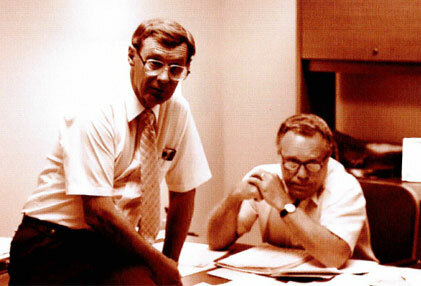 Lyle was equally adept at sales and marketing based on his past experience with General Electric. The trio meshed well and led the constantly evolving enterprise to unimagined levels of success. Today, the two original companies have been joined by a third operating company, PowderTech, LLC (PTL), all operating as subsidiaries of Great Plains Ventures, Inc. which provides services to its subsidiaries in the areas of Human Resources, IT, payroll, accounting and legal. The original company, ASC, continues to produce a wide variety of pneumatic devices for general aviation, military and ground support uses and employs 80 people. GPI has become a leader in the fluid transfer and metering industry and still produces the occasional evaporative air conditioner. GPI currently employs 140 people. PTL offers powder coat painting to manufacturers in Wichita and the surrounding area and employs 25 people. From their early roots in Southeast Wichita, ASC, GPI and GPV have relocated to Ventures Business Park located at K-96 and Oliver in Wichita. The park, owned by GPV, is currently being developed.